Every year, the librarians in my district have to submit 3 goals that we have for our library programs that year. And I must admit, that maybe once or twice I didn't put a whole lot of thought into them. But going into my 11th year as a librarian, I figured it was time to take my librarianship up a notch, so here are 3 of my goals. 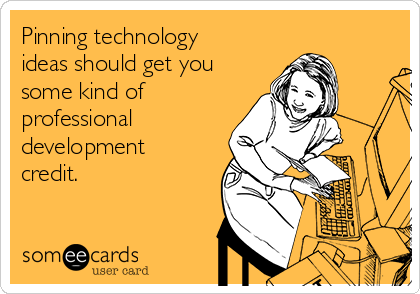 As I grew to have more years in the library under my belt, I became comfortable with what I was doing in the library and didn't not feel the need to seek out a lot of "extra" professional development (and unfortunately Pinterest doesn't count as PD). This year, I am going hunting for some new opportunities to take me out of my comfort zone as well as opportunities for presenting to my staff. The teachers at my campus all received 3 iPads per class last year and a SMART board this year. Last year, I did a lot of modeling of iPad lessons, apps and integration and this year I want to continue to utilize the iPads as much as possible but also model advanced uses and integration for the SMART board. Last spring, I let my poor blog slide. 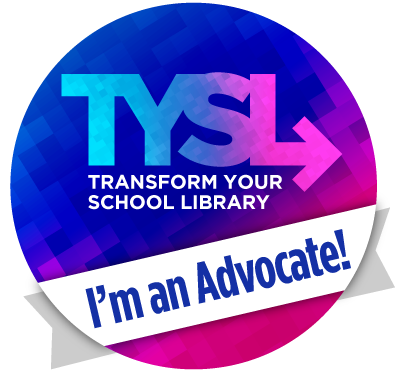 I am recommitting to blogging multiple times every week as well as networking with other librarians and teachers through other forms of social media.